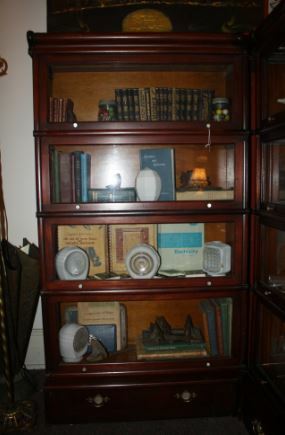 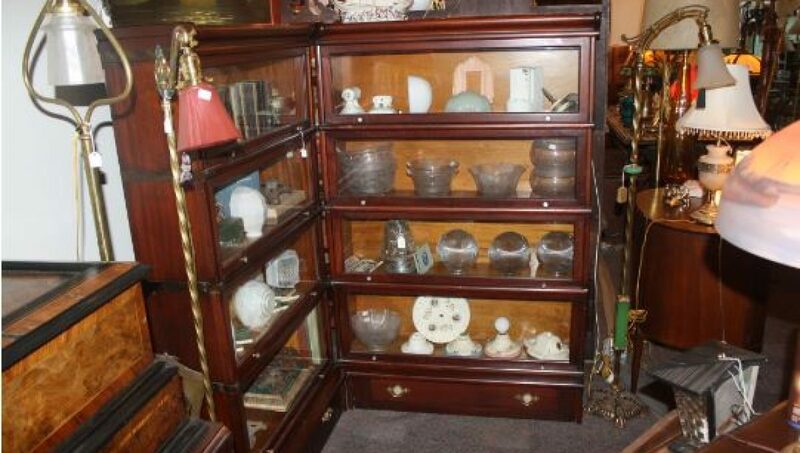 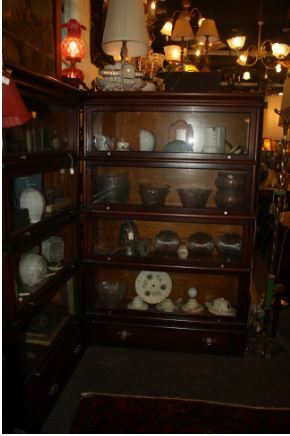 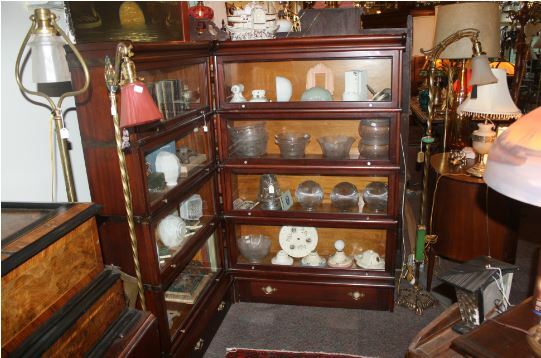 $1800.00 Fabulous ten unit CORNER lawyer’s bookcase has original finish. 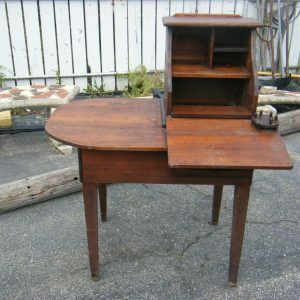 We found it in a chicken coop and cleaned it up. 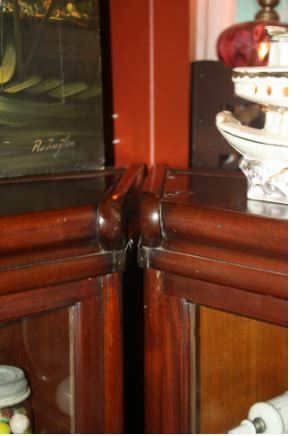 Lustrous, deep, dark brown makes for instant atmosphere. 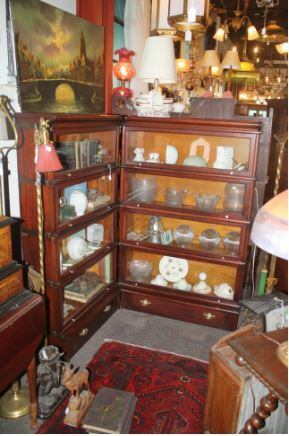 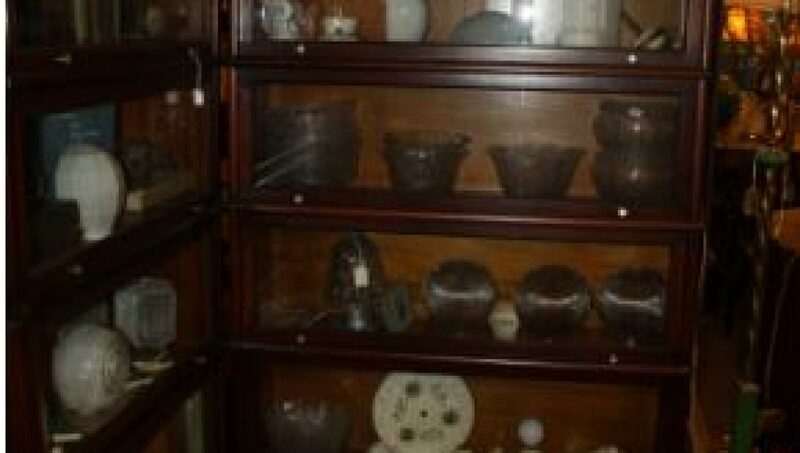 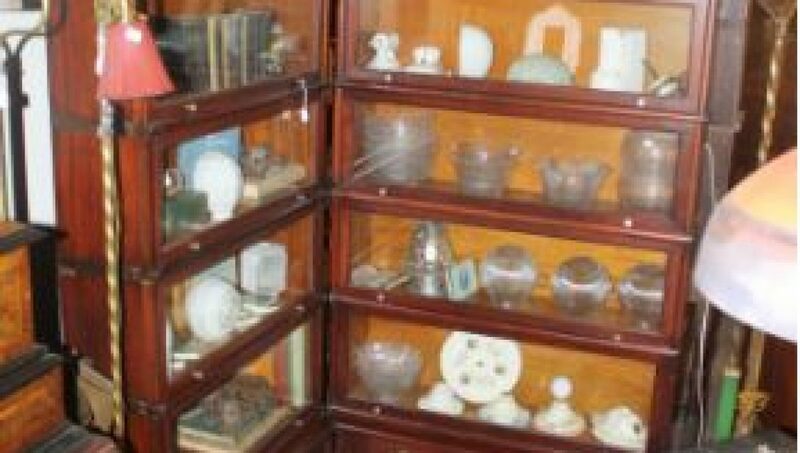 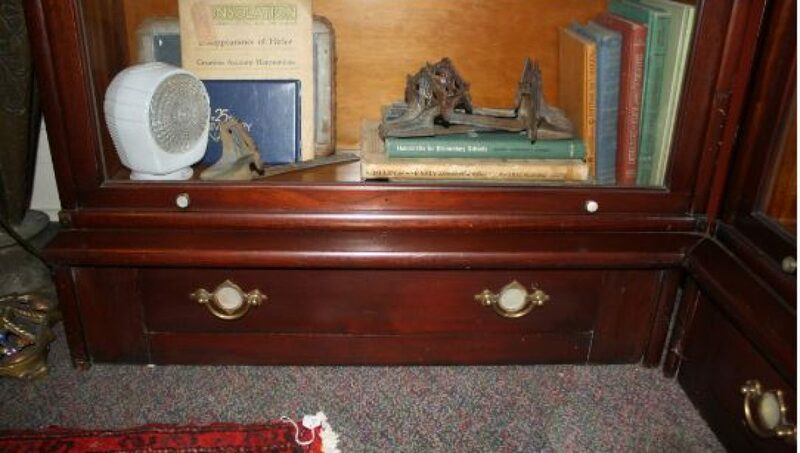 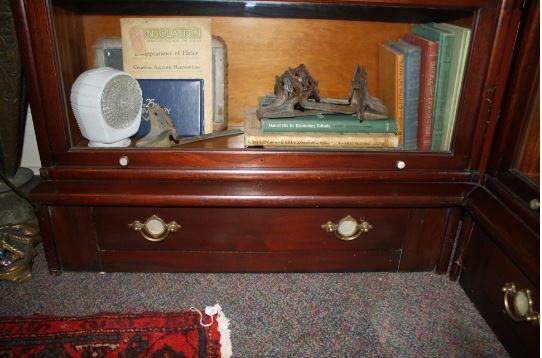 Eight sections hold books, or, knickknacks, each side has a drawer at the bottom for important junk you don’t want to display! 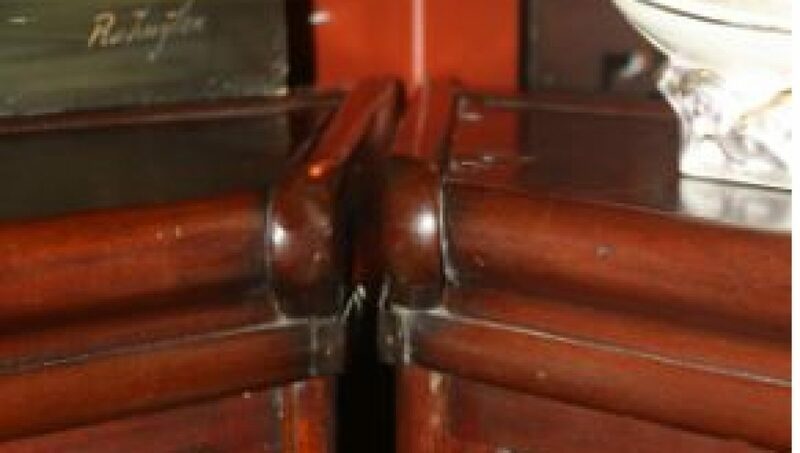 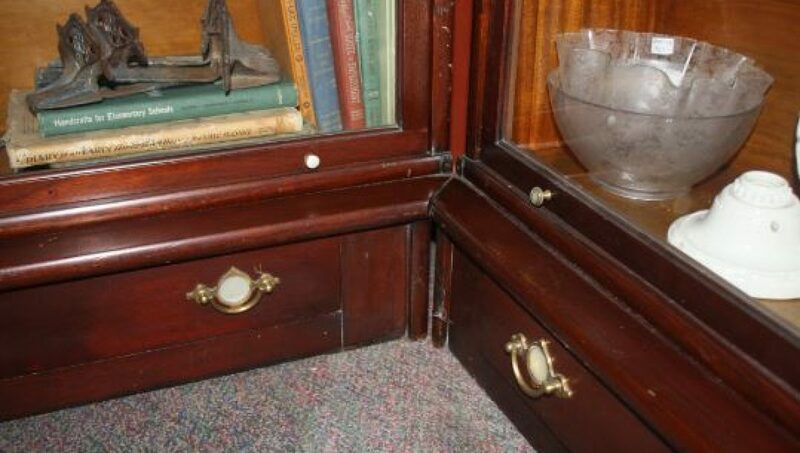 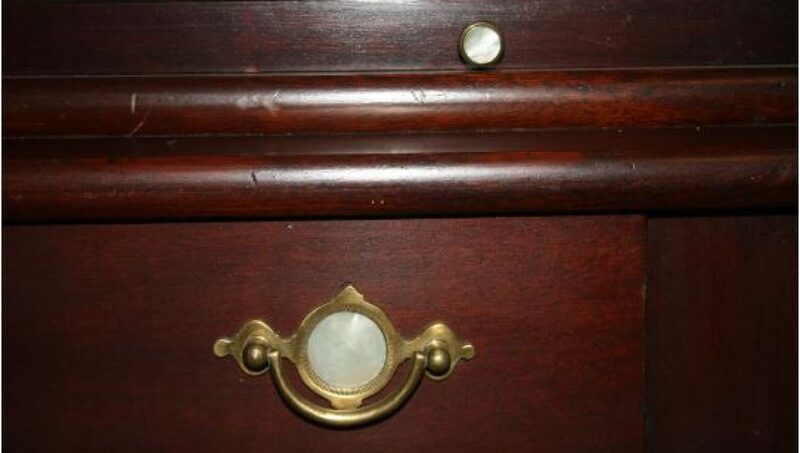 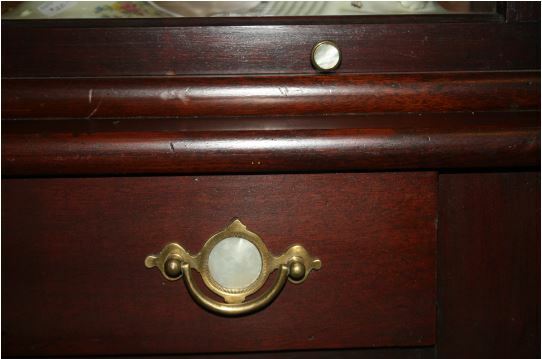 Original mother of pearl knobs and drawer pulls indicate this was a top of the line model. 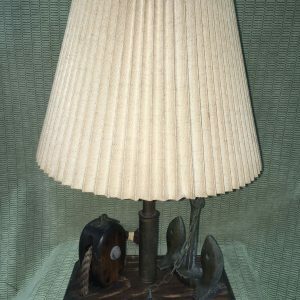 Perfect for your law office, den, living room, or bedroom, it’s 57″ tall. 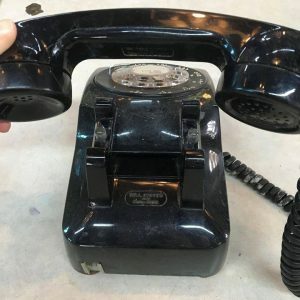 Vintage Black Rotary Phone, in FAIR condition. 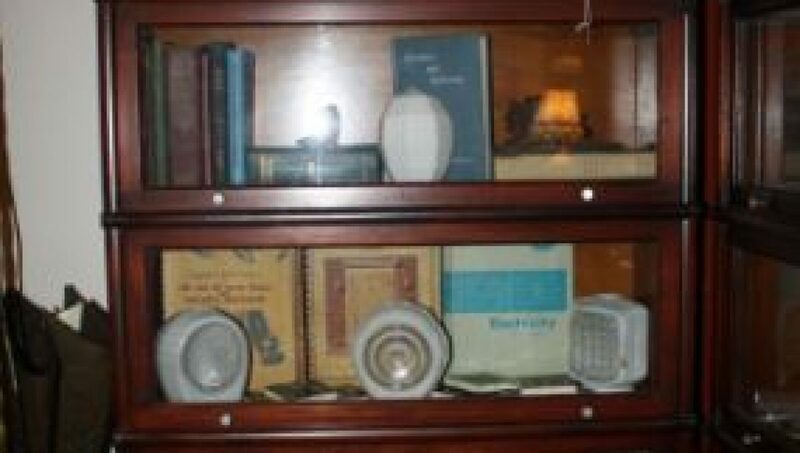 On phone and on base, “Bell System Property” by Western Electric. 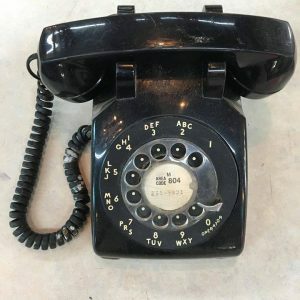 Number printed on rotary number wheel is local Richmond 804-231-5831 (disconnected). 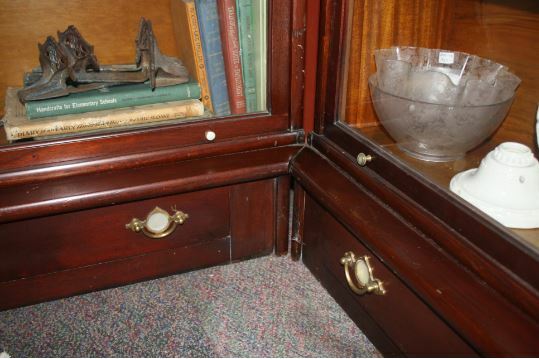 Measures: 5″ W x 9″ L and 5″ H with phone on hook.